Although trees remain dormant during the winter, they are not immune to cold and dry conditions. 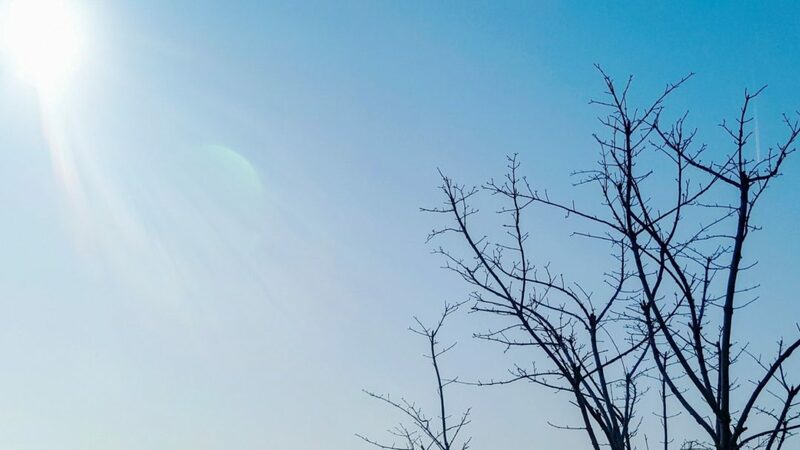 Trees experience the stress of harsh winter weather – though they might not show it – and it’s usually a lack of water that does the most damage. Heading into the winter with dry roots can mean major trouble for trees in the spring. Though it may be gray and wintry outside, your trees still need you. Long, dry periods without supplemental water can damage root systems and kill your trees. Although they may look normal in the spring, trees that have been weakened over the winter will usually die back later in the summer. Follow these tips to help the trees on your property survive the winter and remain healthy all year long. Keep watering trees on a regular schedule through the fall and until the ground begins to freeze (usually late October or November). Once the ground freezes, continue to monitor weather conditions throughout the winter months. Water acts like an insulator, both to a tree and the soil. Soil that stays moist will be warmer; likewise plant cells that are plump with water will be less susceptible to damage from the cold. Trees which are dormant don’t need to be watered as frequently as during the growing season. When there is little to no snow cover and little precipitation, plan on watering your trees one to two times per month until they begin leafing out in the spring. If the site is particularly windy, your trees may need more water. Once the ground thaws in the spring, you can resume your regular watering schedule. Watch: Ask an Arborist: How do I Know if my Trees Need Water? Water only when the temperature is above 40 degrees F and there is no snow or ice on the ground near your trees. Water early in the day, so the plants have time to absorb it before the temperature drops at night. Trees like their water slow and deep. 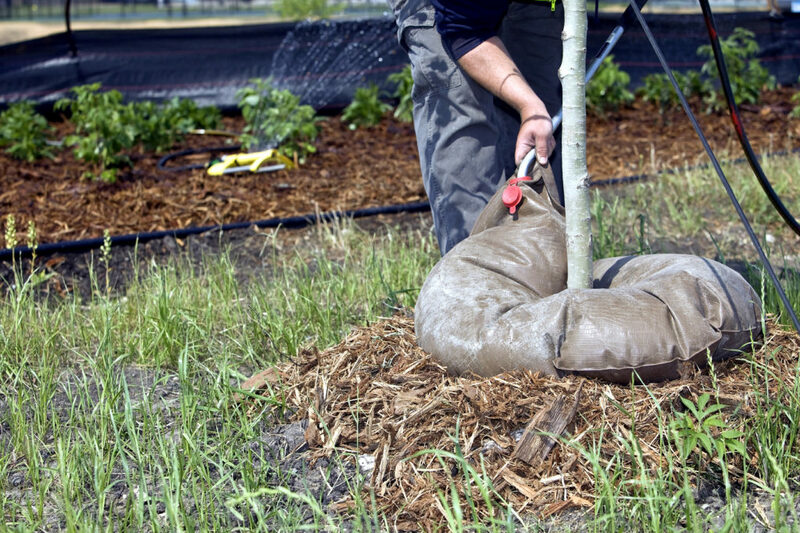 Newly planted trees will require more frequent watering. You can check soil moisture by using a garden trowel and inserting it into the ground to a depth of 2″, and then move the blade of the trowel back and forth to create a small narrow trench. Then use your finger to touch the soil. If it is moist to the touch, then they do not need water. Be careful to apply water all the way out to the edge of the tree’s root spread. Most established trees have a root spread equal to their height. Water deeply with a soaker hose, if possible, and avoid spraying on foliage if watering an evergreen tree. 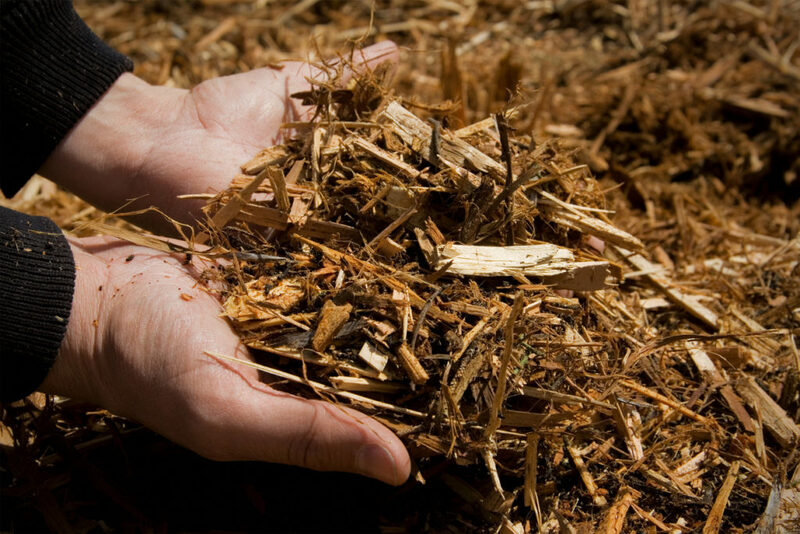 Mulch is one of the best things you can do for your trees heading into the winter. Adding a layer of organic mulch in the fall protects the soil from moisture loss and helps regulate soil temperature throughout the winter. Planting sites which are more exposed to freezing and thawing are prone to cracks in the soil, which can dry out a tree’s roots. Mulch acts as a blanket and can prevent this kind of damage. Young or newly planted trees are much more susceptible to drought injury during the winter months. Make sure they are well watered through the summer and fall up until the ground freezes, and water every couple of weeks during the winter when there is no snow cover. 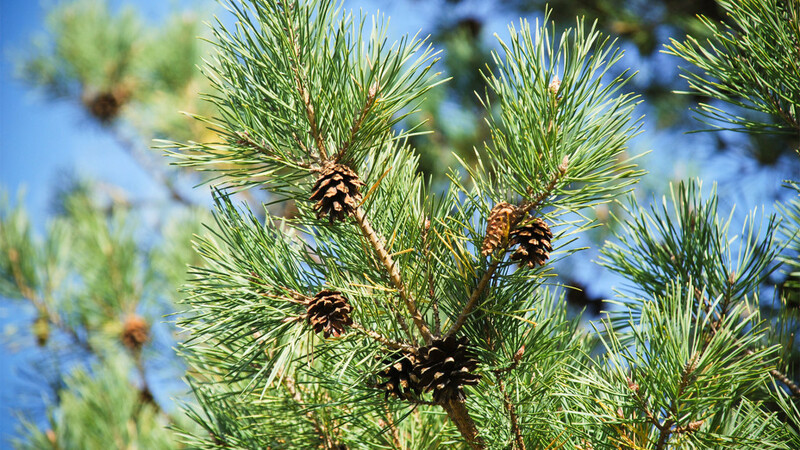 Evergreen trees lose water through their needles in the dry winter air, so they need more stored-up water going into the winter season to make up for it. Cold, dry winds can actually strip water from Evergreens faster than their roots can absorb it. That’s why it’s especially important to provide a sufficient water supply in the fall, and water during dry spells during the winter. While it may seem counterintuitive to get out the hose when everything around you is brown and gray, it’s critical to keep your trees alive and healthy. Don’t ignore your trees this winter. Keep watering them and see how they thank you with a beautiful show in the spring. John Lang is a Certified Arborist and a member of the Friendly Tree team, a family-owned New Jersey tree care service, dedicated to the thoughtful and careful maintenance of your trees and shrubs. Friendly Tree Service has been in business for 26 years and remains passionate about trees and nature. 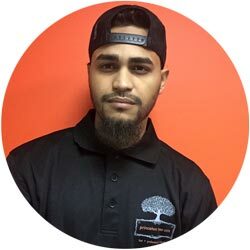 With a highly trained staff that treats every property as their own and state of the art equipment, Friendly Tree is on the cutting edge of the art and science of Arboriculture. [ Repost ]Guest post by John Lang of Friendly Tree.